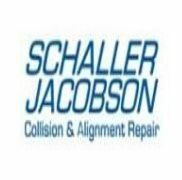 Schaller Jacobson Collision and Automotive Repair - Schaller Jacobson Collision and Automotive Repair is the premier full-service auto shop in La Crosse, WI. Schaller Jacobson Collision and Automotive Repair is the premier full-service auto shop in La Crosse, WI. Schaller Jacobson Collision and Automotive Repair is the premier full-service auto shop in La Crosse, WI. Specializing in comprehensive auto care, these certified technicians have the equipment and the experience to provide your vehicle with everything from auto alignment to car tuneup services. Whether you recently got into an accident or you need an oil change, choose Schaller Jacobson Collision and Automotive Repair for fast and reliable service. Founded in 2000 by Brady Jacobson, this family-owned and operated business is proud to have provided the La Crosse community with comprehensive auto care in one way or another for over half a century. Today, their full-service auto shop features ASE-certified mechanics, state-of-the-art equipment, and affordable prices, no matter what type of work you need to have done on your vehicle. Browse the services offered at Schaller Jacobson Collision and Automotive Repair and expect to find brake repair, oil changes, and auto alignment. Need auto body collision repair? No problem. Their full-service auto shop will return your vehicle to its original condition, regardless of the scale of the damage. Offering free estimates, free loaner cars, and guaranteed work, Schaller Jacobson Collision and Automotive Repair is your one-stop shop for auto care in the greater La Crosse area. If you need anything from transmission repair and new tires to solutions for muffler and exhaust problems, contact Schaller Jacobson Collision and Automotive Repair by calling (608) 788-2545. You can also visit them online for details about the full-service auto shop.